This is a NASA/ESA Hubble Space Telescope image of galaxy cluster Abell 2744. 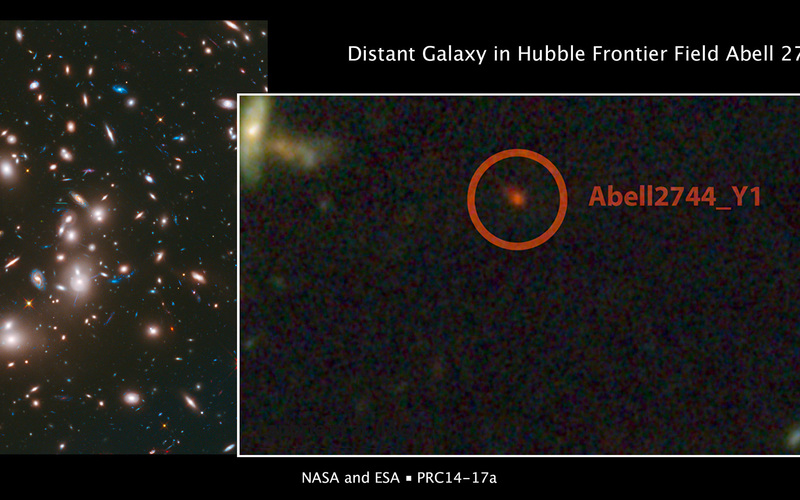 The inset image shows the region around galaxy Abell 2744_Y1, one of the most distant galaxies yet discovered in the Universe. The image shows the galaxy as it appeared 650 million years after the Big Bang. 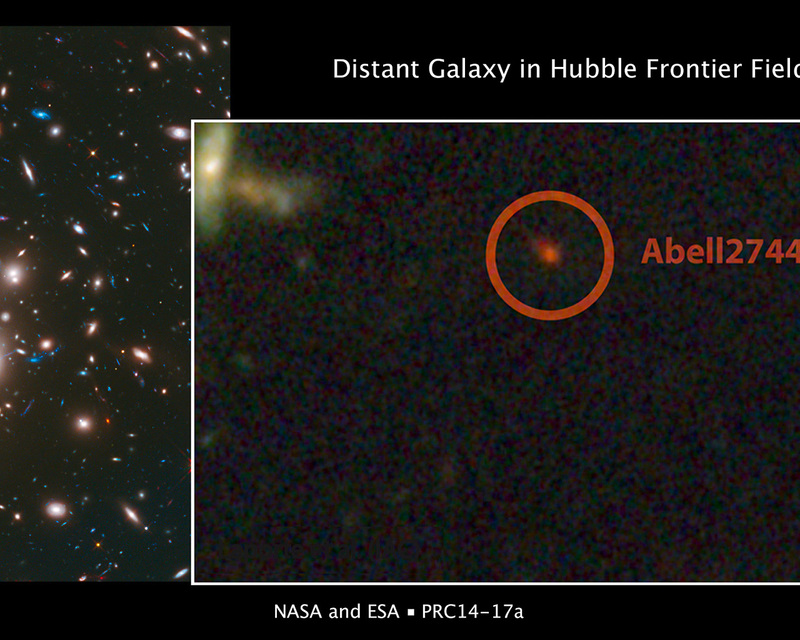 The galaxy lies far beyond the foreground Abell 2744 cluster, but its image has been magnified and brightened by a phenomenon in the cluster known as gravitational lensing. This image was taken as part of the Frontiers Fields observing program.